Bambo offer some of the most comfortable and eco friendly nappies around for children between 26-49lbs in a pack of 27. Made with extra soft and super absorbent materials to ensure maximum comfort with a thin, flexible and perfect body fit design. These nappies are FSC certified as well as boasting the Nordic Swan Ecolabel, so you know the materials have been responsibly sourced from sustainable forests, while the production process is in line with strict conditions to reduce environmental impact. 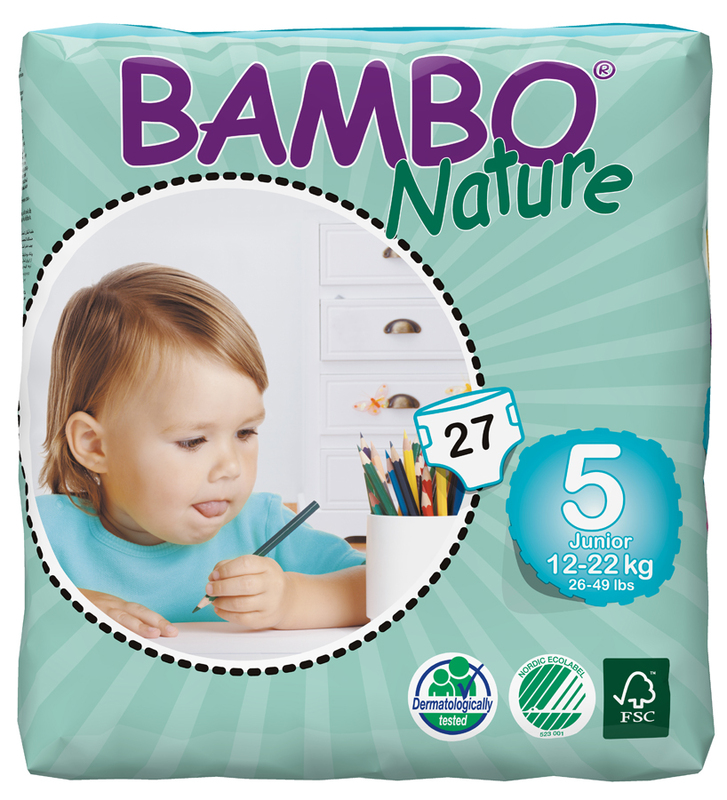 The Bambo Nature Disposable Nappies - Junior - Size 5 - Pack of 27 product ethics are indicated below. To learn more about these product ethics and to see related products, follow the links below. Fit well, very absorbant and they're not going to be hanging around the tip for years to come. 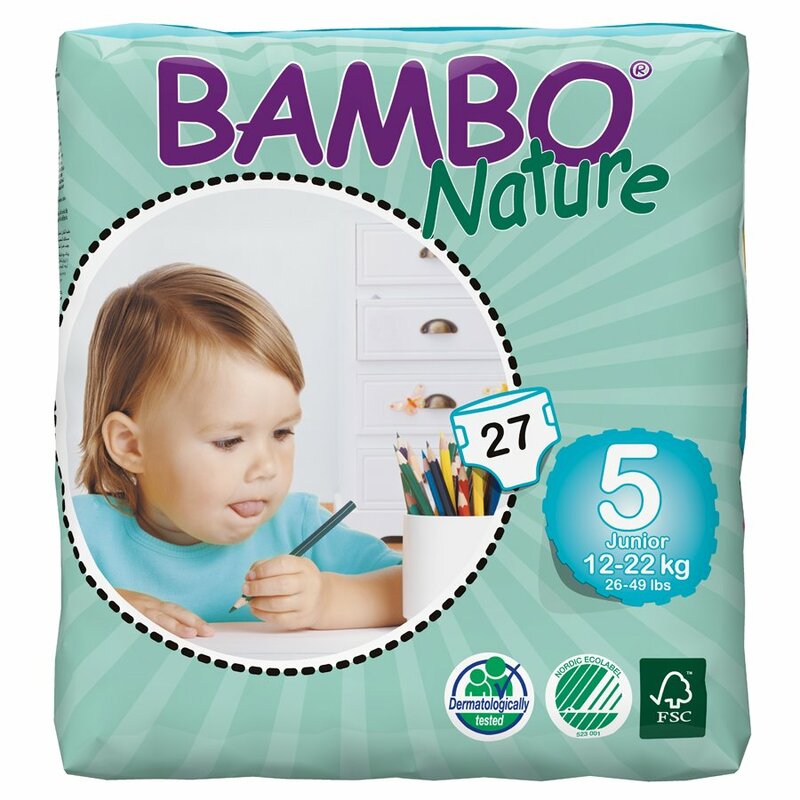 There are currently no questions to display about Bambo Nature Disposable Nappies - Junior - Size 5 - Pack of 27.